When times are rough, when everybody is hunting for new business, it is the best opportunity to listen to your frustrated customers. Actually the best time to find out how you can improve your service is now – before they complain. You might have experienced this: you call a supplier to complain or to request that a mistake be corrected. To your dismay, he does not answer up or does not follow up on your request. They give the impression that they are overwhelmed with problems – too busy trying to make money. What a wasted opportunity! Take every single complaint as a great chance to make your customer more loyal than ever. Apply this principle religiously and you will leave your fiercest competitors in the dust! So here is the tip: SURVEY your customers to find out how you can improve the quality of your service. Don’t wait for complaints to stack up on your desk. Be pro-active! When everybody is desperately looking for money, show that you care and demonstrate your absolute commitment to make your customers ever happier. 1. Make it a routine to call customers with a standard, pre-prepared form. A maximum of 5 questions should be asked. A satisfaction survey can be done every 2 or 3 months. 2. Ideally do not limit yourself to e-surveys (surveys made on-line). Those can be a good help but nothing parallels a direct, live communication with your customers. 3. Hire or use people who have a friendly tone and attitude on the phone – no matter what feedback they get. Remember: train them to receive ANY kind of communication from upset customers. No matter how tough or “nasty” a feedback can be, the simple fact that someone is listening can make a big difference and reduce the frustration. 4. ALWAYS do something about the complaints. Invest the needed time and money to handle and resolve a justified complaint. 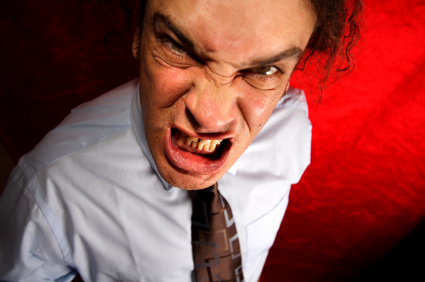 If a customer is frustrated he must have been expecting a lot from you. So you need to meet his expectations. Teach your sales force to always start a meeting with the question: “how are you doing with our service – can we do anything to help or improve our service?” and do NOT think that asking such questions will make you lose sales. Not asking these questions to frustrated customers is the best way to lose them. In a few words: no survey = no feedback = no loyalty = no money!